Snow: atmospheric water vapor frozen into ice crystals and falling in light white flakes or lying on the ground as a white layer. In the last couple days, Cleveland and the surrounding areas have received heavy snowfall. With all this winter weather that has occurred, it provides more opportunity to be out engaging in winter activities. From tobogganing to snowboarding and everything in between, there are endless local opportunities to be involved in the beautiful snow. For the tobogganing aspect, there are toboggan chutes located in the Mill Stream Run Reservation in Strongsville. On Friday’s they are open from 6 p.m to 10:30 p.m; on Saturday’s the hours are 12 p.m to 10:30 p.m; Sunday’s hours are from 12 p.m to 5:00 p.m. No snow is needed to go tobogganing. All day tickets for adults are $12 and children (11 and under) are $10. If interested in snowboarding or sledding, Boston Mills/Brandywine is a great place to take advantage of that. Located in Brecksville, Boston Mills is open from 10 a.m to 10 p.m and Brandywine is open from 3 p.m to 1 a.m. There are rentals available for around $32. Another advantage to Brandywine is the snow tubbing that they offer; the ratings seem to prove that tubing is a popular activity there. 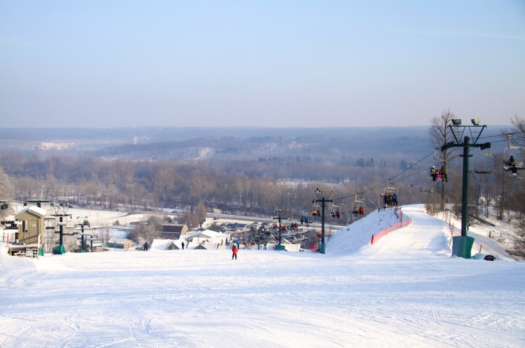 If looking to sled and spend time with friends, there are places located in the Metroparks and in the surrounding communities: Bay Village, Westlake, etc. Take advantage of the sparkling snow with these exciting and relatively local activities.